Bipartisan legislation designed to exclude from the trucking industry those involved in human trafficking was advanced to the White House on Dec. 21. Additionally, the House passed the Jobs for Our Heroes Act on Dec. 21, to slash the time it takes active duty military, reservists and veterans to obtain a commercial driver license. The bipartisan No Human Trafficking on Our Roads Act, which passed unanimously in the Senate, was sponsored by Rep. John Katko (R-N.Y.). He explained the legislation would disqualify from commercial trucking those drivers found guilty of operating vehicles for human trafficking. The House also passed the bipartisan Combating Human Trafficking in Commercial Vehicles Act, which would require the transportation secretary to designate a human trafficking prevention coordinator, as well as expand the Federal Motor Carrier Safety Administration’s outreach and education programs to include human trafficking prevention activities. The bill is supported by Truckers Against Trafficking, the National District Attorneys Association, the Commercial Vehicle Safety Alliance and the Owner-Operator Independent Drivers Association. A high-profile smuggling operation was discovered last summer when a tractor-trailer was parked outside a Wal-Mart store in San Antonio with dozens of immigrants inside. Ten of those passengers died and others were hospitalized with extreme dehydration. One passenger said people were taking turns breathing from a hole inside the trailer. Katko, who introduced the bill alongside Rep. Elizabeth Esty (D-Conn.), is a former organized crime prosecutor who worked along both the northern and southern borders. He said that human traffickers frequently take advantage of the nation’s transportation network to move their victims. Esty said that a human trafficking ring was dismantled in her hometown of Cheshire, Conn. According to Esty, human trafficking incidents often exploit young girls, usually between the ages of 12 and 14, regardless of their race, age or socioeconomic status. 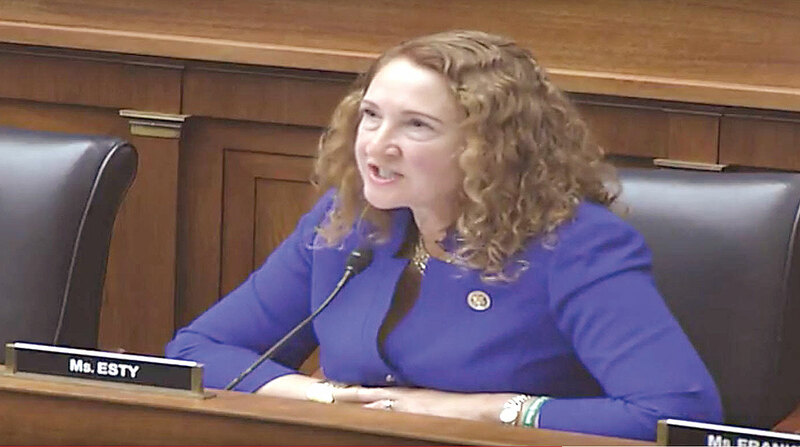 “While the vast majority of our nation’s truck drivers are hardworking, honest men and women, our bill is necessary to ensure that the select few who commit these crimes are brought to justice,” Katko said. Sen. Amy Klobuchar (D-Minn.) sponsored both trafficking bills, marking the latest chapter in her efforts to combat the crime. Earlier in 2017, the Abolish Human Trafficking Act, which she introduced with Sen. John Cornyn (R-Texas), passed the Senate. The bill reauthorizes key programs that support survivors of human trafficking and provides resources to federal, state and local law enforcement officials who specialize in fighting human trafficking. Along with the two human trafficking bills, the House passed the Jobs for Our Heroes Act Dec. 21. This bill, introduced by Cornyn, aims to streamline the process by which active duty military, reservists and veterans receive commercial driver licenses and begin civilian driving careers. Veterans are an important demographic for agencies and fleets looking to offset the industrywide driver shortage. In October 2016, FMCSA awarded nearly $1 million in grants to seven technical and community colleges to help military veterans become commercial bus and truck drivers. The driver shortage ranked No. 1 on the American Transportation Research Institute’s list of most pressing concerns for the industry, which was released Oct. 23. American Trucking Associations reported that the driver shortage could reach 50,000 by the end of the year, and the shortfall could surpass 174,000 by 2026 if current trends continue. Staff Reporter Eugene Mulero contributed to this article.